No more need to wait for Rangoli!!!! In my complex most of the people have pasted kolam stickers in front of their entrance. 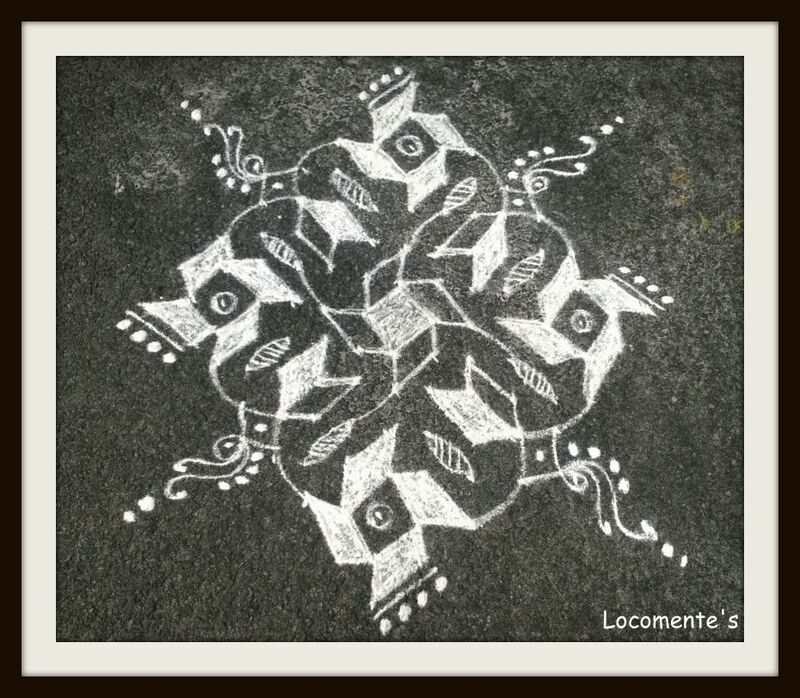 I am drawing small maakkolams (kolam with wet rice flour) so that the maids who sweep the corridor leave it alone. Powder means, they sweep off! I still like to draw different types of kolams in the morning and it is famous in our complex! Such finesse! You should see the maa kolams I used to make. Atrocious they were. Yeah.. But I have this new obsession for black and whites!